Walt Disney World® Resort is widely known has the happiest place on Earth for children of all ages, but the fun doesn’t just apply to families with kids. Disney’s four famous parks plus several other entertainment venues offer almost countless ways for people without children to enjoy themselves. Here are our top ways to have fun at Disney for adults! Visit the parks at night. If you’re coming to the Orlando area without kids, try visiting the parks at night rather than during the day. The parks are beautiful, even romantic at night, and not as busy as they are during the day. Take advantage of the morning to enjoy a leisurely cup of coffee and maybe a round of golf at one of Orlando’s many courses, and you enjoy the parks until the wee hours of the morning. Enjoy the variety of food and drink at Epcot. In EPCOT’s world showcase, you can enjoy an adult beverage in 11 different countries including Germany, Italy, Morocco, Mexico and more! Sip on wine in Italy before experiencing a taste of Oktoberfest in Germany and heading to China for some genuine sake! 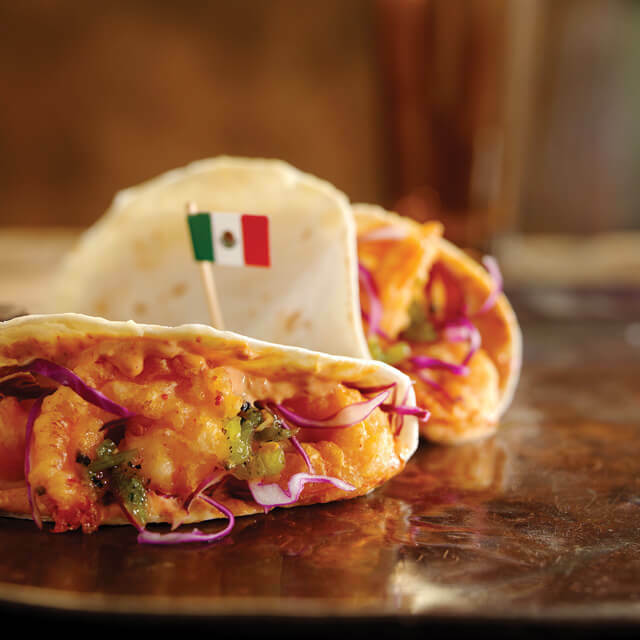 If you’re hungry, you can walk over Mexico to indulge in some delicious Mexican cuisine or Morrocco to savor the flavors of traditional Middle Eastern food. If you happen to visit during the fall months, Epcot’s famous food and wine festival is a must go! 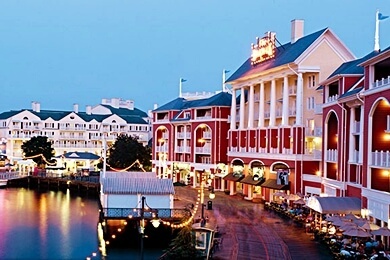 Disney’s Boardwalk hasn’t exactly replaced Pleasure Island as a premier night spot at Disney for adults, but it is one Orlando’s most adult-friendly areas at night. You can visit Jellyrolls, the Boardwalk’s famous piano bar and enjoy a romantic evening with your significant other as you watch Epcot’s famous light show, IllumiNations: Reflections of Earth, from the bridge at the Boardwalk while sharing a bottle of wine. 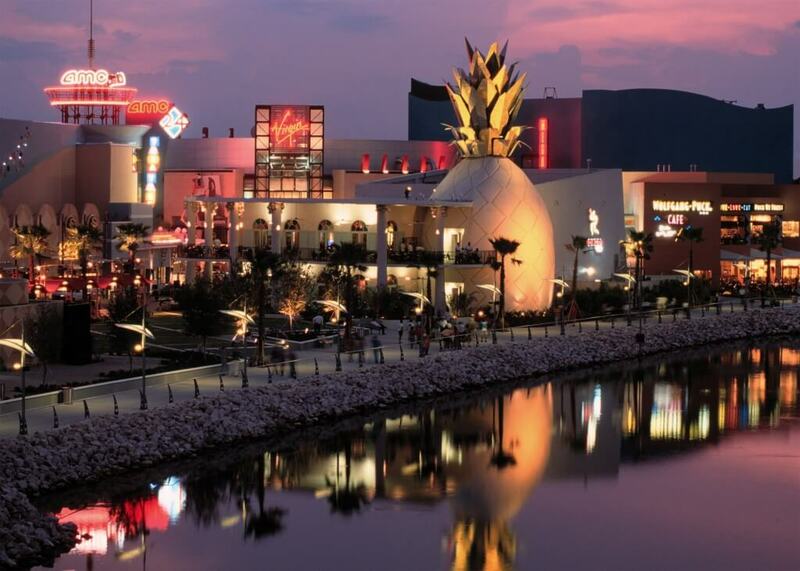 In terms of shopping, food and entertainment, it doesn’t get better than Downtown Disney for adults visiting Orlando. It’s home to a large number of stores, and they’re not all packed with Disney souvenirs (although we wouldn’t blame you for wanting to bring home some Mickey Ears!). There’s also plenty to do, see and eat! You can catch Cirque du Soleil’s La Nouba, enjoy an Irish-themed dinner at the Raglan Road Irish pub or catch a concert at the famous House of Blues®. Don’t forget the “kid” stuff! Disney is world famous for several reasons, but by far the biggest is their ability to make people of all ages feel like kids again! Don’t pass up on the “kid stuff.” Head the Magic Kingdom to meet Mickey and rub elbows with Disney royalty like Cinderella, Belle and Snow White. Experience the awe and wonder of nature at the Animal Kingdom, play state-of-the-art video games at the Disney Quest arcade and step into the future at Epcot. Are you planning an adults-only trip to Disney anytime soon? What are you planning to do? 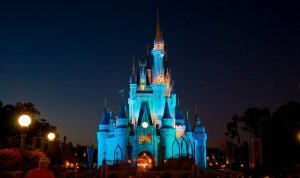 See all the fun to be had at Disney for adults by calling VillaDirect Vacation Homes, Orlando’s largest and most trusted independent vacation rental company. Toll free 877.259.9908.